The children's MMO challenges players to save the galaxy using the power of math. 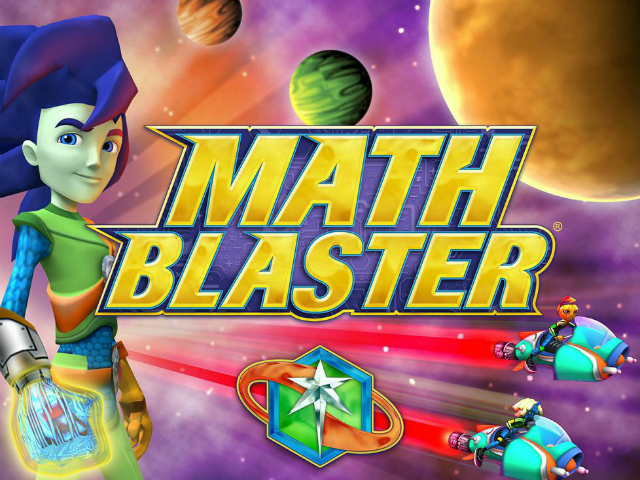 School of Dragons creator, JumpStart, which specializes in learning-based games for kids, has announced the release of Math Blaster on Facebook. Inspired by the original Math Blaster, a popular title in grade school computer classes in the 1990s, the new Math Blaster is a 3D online world for kids, combining math-based education with MMO capabilities, including customizable avatars, in-game pets and more. Since the game is a children’s title, and Facebook is restricted to users aged 13+, parents are encouraged to let their kids play the game on their Facebook accounts, and the title relies on an email activation system to ensure players have parental permission to engage with the game. Once players create an avatar and customize their character’s name (from a list of approved words), they’ll adopt a pet, and will begin completing missions and mini-games to advance through the ranks of the game and ultimately save the galaxy. For example, one mini-game sees players piloting a space ship through tunnels. Gamers use the arrow keys to navigate and avoid obstacles, while the space bar is used to fire a blaster at enemies. Each round of the game focuses on a different math topic, from addition and subtraction to fractions and more. In this way, the game can be customized to match the skill levels of the player, including options for different difficulty levels. During this mini-game, players will encounter math bosses, and will need to quickly solve equations to survive. As an MMO, social features allow gamers to become “B.F.F.s” with other players, and chat safely with others in their environments. Some areas of the game, including some mini-games and other in-game content, are locked behind premium subscription options. So many people – particularly those in their late teens and early 20’s – have fond memories of Math Blaster from their computer lab days back in elementary school. We’re extremely excited to be reintroducing the game on a platform that’s so convenient for those who loved playing it as a kid. We hope these users will enjoy the sharp new graphics, mini games, and other improvements we’ve made – and will want to share a piece of their childhood with a new generation. Math Blaster is available to play for free on Facebook. The company will continue to expand the franchise across additional platforms as it “taps into the power of nostalgia” for the original game.